I do like the melaleucas - fabulous textures you have captured! Looks like a scary smiling face ! Nice texture. 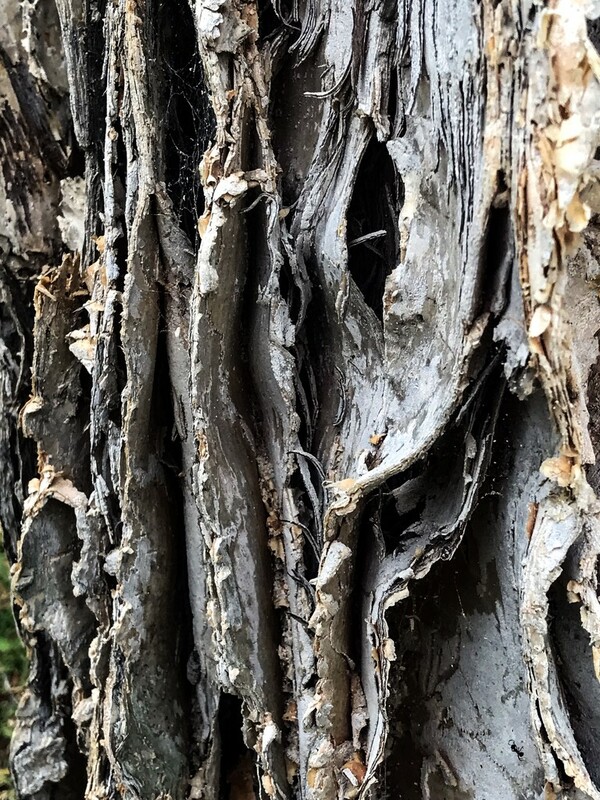 There are amazing textures in nature such as this tree bark or even more so sometimes in clouds. If I could make one small comment on this shot maybe crop out that bit of green in the bottom left hand corner:). Fabulous close up with wonderful tones and textures, fav! That iPhone of yours is doing a marvellous job!